(1) Check the radial deflection. According to the specification, the initial radial deflection of the pipeline shall be tested within 24 hours after installation of the FRP Pipe. No bulging, flattening, or other abrupt changes shall occur in the pipeline. (2) Hydrostatic test. In order to fully inspect the installation quality of pipelines, pressure tests shall be carried out in accordance with the test methods specified in “Code for Construction and Acceptance of Water Supply and Drainage Pipelines” to allow the amount of water seepage to be carried out in accordance with the standards of steel pipes. (3)Because of the socket-type double “O” type sealing ring connection between the glass steel pipes, each installation of a pipe must be pressured at the socket to detect the sealing effect of the double “O” type sealing rings. Use a pressure test pump directly through the pressure test hole in the top of the tube. After adding water, press the pump to 1.5 times the working pressure of the pipeline and stop the pump (open the drain valve exhaust during operation). Observe for 2 minutes, the pressure drop value does not exceed 5% of the test pressure, and the nozzle pressure is not leaking. That is qualified. If the pressure drop is reduced quickly, it indicates that the sealing effect is not good and it needs to be re-installed to ensure that the entire FRP Pipe system is successfully tested for pressure. 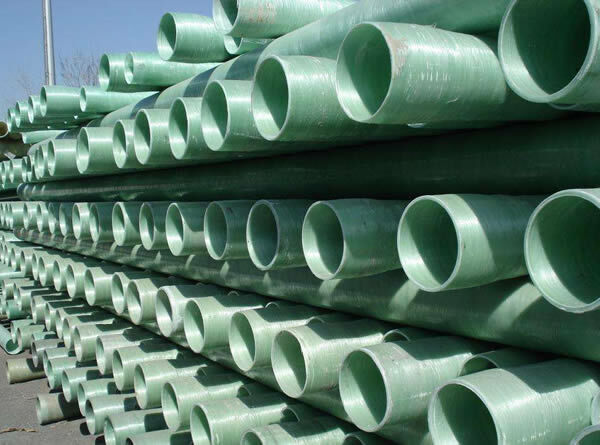 In order to prevent FRP Pipe construction defects from causing pipeline penetration, we can also take measures to avoid defects in the following two ways. 1, we try to avoid laying in the open air environment, can not let direct ultraviolet radiation FRP Pipe. 2. There is also a point that we have to use centrifugally placed sand traps. This will ensure that the walls of the pipe will be compact and strong under the action of centrifugal force, and will not create gaps and delaminations. This will greatly increase the product. the quality of.